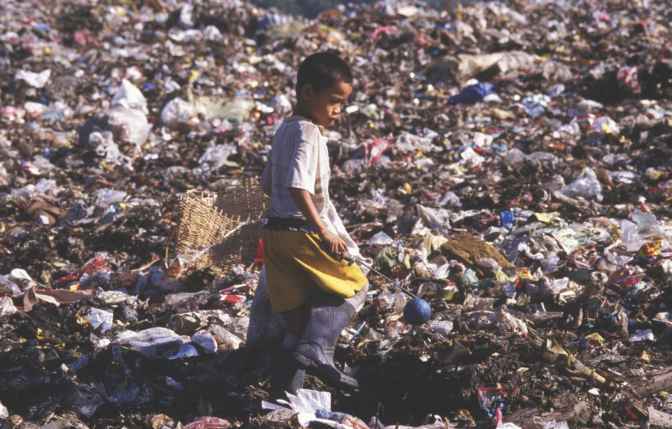 Modern landfills generate significantly lower concentrations of NMOCs [nonmethane organic compounds] than older sites. . . .
[Also,] the potential risks to human health and the environment of gases from modern landfills is significantly less than older landfills because the devices used to combust [burn] the gas have destruction efficiencies of more than 99 percent for methane and greater than 98 percent for all other NMOCs. 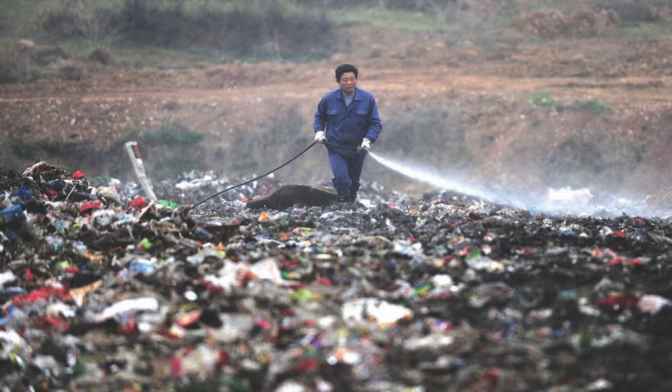 [And] releases of trace constituents contained in the leachate from modern landfills are practically eliminated because leachate is collected, removed, and treated. . . .
A worker sprays disinfectant over a modern landfill site in China. 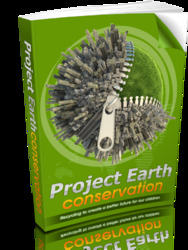 Modern landfill systems are being created to help the environment by reducing the amount of harmful emissions. Modern landfill systems are employed mostly by developed countries. These methods may spread around the globe in the future as developing nations improve their waste management policies and are able to afford the technology. The waste industry foresees the development of additional landfill innovations in the future that will further protect the environment and human health. One of the most promising ideas is the bioreactor landfill, a system that adds liquids and/or air to the waste in landfills in order to accelerate the biodegradation process, stabilize the landfill waste, and better seal it off from the surrounding environment. There are two types of bioreactor landfills: aerobic, or using oxygen, in which water and air are circulated through the landfill, which increases normal composting-type decomposition of the organic material; and anaerobic, or oxygen free, in which decomposition is stimulated simply by adding and recirculating liquids.